Telegram expresses regret at inability to arrange meeting and second telegram requests address of Miss Wooten. 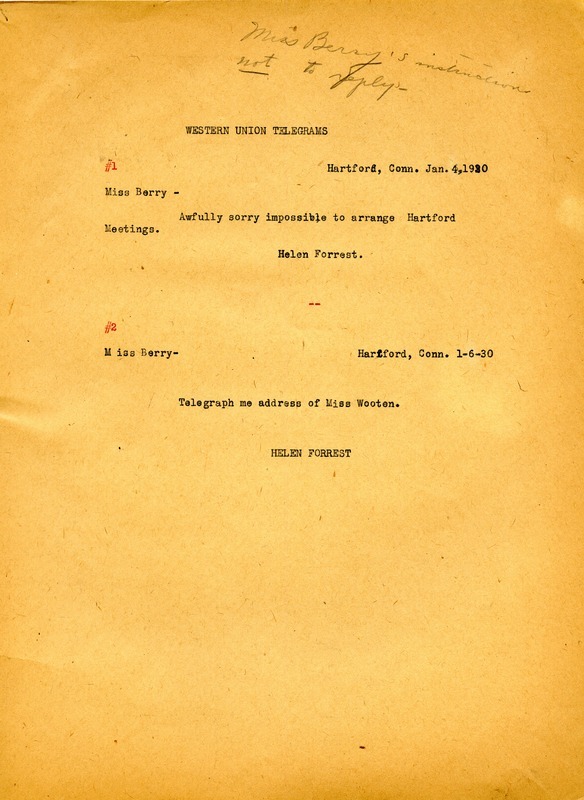 Helen Forrest, “Letter to Martha Berry from Helen Forrest.” Martha Berry Digital Archive. Eds. Schlitz, Stephanie A., Chelsea Risley, Alan Henderson, et al. Mount Berry: Berry College, 2013. accessed April 19, 2019, https://mbda.berry.edu/items/show/12549.